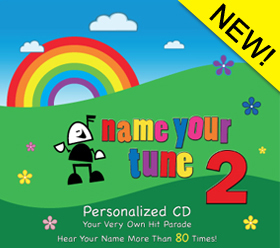 Introducing our Name Your Tune 2! Plant a garden, join the band, go to the zoo but please...no more monkeys jumping on the bed! It’s our new collection of songs all about you! 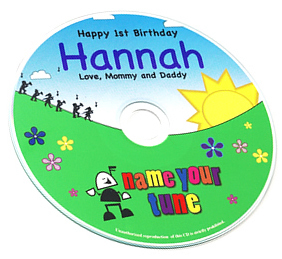 Hear your name more than 80 times in fun, fresh versions of much–loved children’s songs including Mr. Sun, Lemondrops and Gumdrops, and Five Little Monkeys.